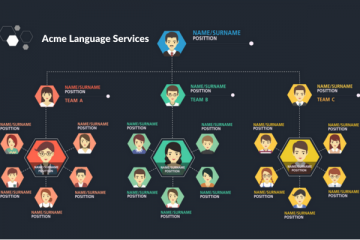 Having recently delved into The Language Industry According to LinkedIn, we also took a look at the different job titles used on the LinkedIn profiles of employees working in Language Service Providers (LSPs) globally. Without breaking a sweat and ignoring the translation buyers, we have identified over 600 unique titles…and counting! An impressive total for what is often referred to as a niche industry. Here we ask What does it all mean? While Transcreation and Localization indicate that a Project Manager is operating within the language industry (rather than in Software or Construction, for example), the Associate, Senior and Principal prefaces are indicative of the job level. Hyphens also seem to be en vogue on LinkedIn, and used mainly to denote the specific customer segment, as in the case of “Project Manager – Life Sciences”. We also see Language Manager or Translation Manager, although these seem to be more in use when a Project Manager is responsible for an inhouse linguistic team. Coordinator and Manager appear to be used somewhat interchangeably across the industry, but where one company uses both titles, Manager is usually more senior. So how do you tell where a Project Coordinator ends and a Project Manager begins, especially if the lines are blurred further with the Associate, Principal or Senior modifiers? Some companies reserve the Project Manager title for those who are customer facing, while Coordinators might remain more internally focused (e.g. performing administrative and linguist-related tasks but not interfacing with the customers). To make this same distinction, some LSPs are increasingly using Customer Success Manager, a title that presumably has its origin among Silicon Valley startups. The Program Manager title is also emerging as a mid to senior job title in Project Management on technology and other large accounts, with an element of people or portfolio management involved as well. In other companies, Account Manager can also be used to describe a similar role within Project Management, specifically customer focused, and often also involving a degree of people or performance management. Confusingly, Account Managers in many LSPs are part of the Sales function, with revenue / retention targets attached. Likewise, the Customer Success Manager job title is broad and ambiguous since it can also apply to both Sales and Project Management staff. Across the Sales function, we find a similar array of job titles: from Business Development Manager and Senior Localization Strategy Consultant to Strategic Account Executive and Vice President of Sales. Preferences range from specific to vague on a spectrum of transparency, with the slightly softer BD title being more favored among the frontline Sales staff in LSPs. We also note the C-Suite title Chief Revenue Officer entering the arena as someone responsible for the revenue generating activities of Marketing and Sales teams, and offer a special mention to the Bid Managers and Pre-Sales teams. At the center of the Sales, Operations and Technology Venn diagram are the Solutions teams, striving to solve the most complex of customer and prospective client “puzzles”. From the generic Solutions Architect, Director of Client Solutions, Solutions Consulting and Director of Technology Solutions, to the more specific Cloud Solutions Architect or Solutions Manager for Machine Intelligence, these individuals help make the promises of Sales a reality for the customer by enabling the Operations teams to deliver the right product in the right way. It’s a similar state of affairs across the Vendor Management function. Here we find Global Procurement Directors, Supplier Relations Managers, Area Sourcing Managers, Supply Chain Managers and Talent Program Managers, all dedicated to the managing the pool of linguists and other linguistic subcontractors within an LSP. Arguably the lifeblood of the language industry, but not every LSP has them. Companies that do have a team of linguists inhouse hire for roles such as Medical and Legal Interpreter, Senior Editor, Technical Translator, Inhouse Translator/Reviser and French Translator-Subtitler, with some multi-tasking as Translator / IT Manager and Account Manager / Translator. The Technology function(s) in LSPs can be a bit of a catch-all for employees working on IT, software development and functional QA activities, within many coming from outside the industry originally. The extent to which an LSP develops its own solutions inhouse will determine the technicality of the job titles assigned to Technology staff, and some language industry old-timers may be hard-pressed to tell their Junior Full Stack Software Developer from their Senior UX Designer and their Product Managers from their Project Manager. Other Tech-type job roles include QA Automation Engineer, Associate Customer Support Engineer, Chief Information Officer, and Sound Engineer. Perhaps the most standardized and least localization-specific area of the language industry, the back-office and shared-services functions house the likes of marketing, payroll, HR, finance, and accounting professionals. Behind the scenes here can be found HR Specialists, HR Generalists (and everything in between), your friendly Director of Talent Acquisition as well as Financial Accounting Managers, Group Financial Controllers, and not forgetting General Counsel. Geography – While variants of the VP title are seen more in the US, Asia tends to favour Area or Country Managers. By contrast, Directors and Heads of are most likely to be found in Europe. 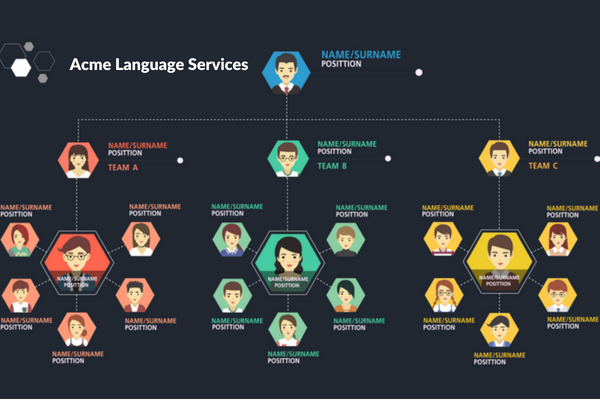 Customer Base – Some companies tap into the idea of using job titles strategically to mirror the language used by their clients, hence Customer Success Manager in a Tech-focused LSP, or Principal Project Manager in one servicing a Financial customer base. Organizational Design – Flatter organizations typically differentiate less between job levels while others design progressively more senior titles as a people management / motivational tool. Internally, an employee may achieve levels of progression (junior, senior or level 1, 2, 3 etc. ), without the external facing job title having changed. This contributes to giving companies a…. …Competitive Edge – Helpfully, job titles that are ambiguous are less understandable to those outside the business, which can make it harder for competitors to poach the best employees. Creative License – Since LinkedIn profiles are normally owned by individuals, employees have a certain leave to embellish on their actual job titles. In alongside the obvious and mundane, the vague and ambiguous are also some intriguing job titles: we spotted Traffic Coordinator, People Ops and Quality Rater to name just a few. Meanwhile, if you are looking for a Senior, Junior, Principal or Associate Project Manager/Coordinator or any other language industry professional to join your business, the Slator jobs page is your first port of call.